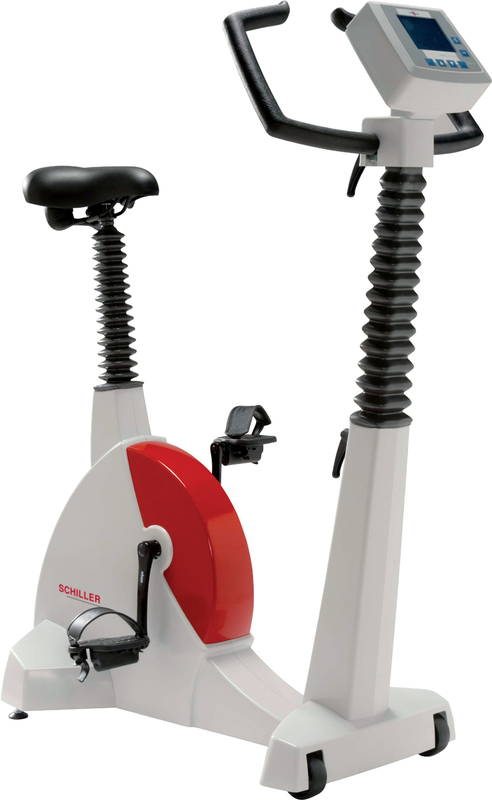 The Schiller 910S Plus Bicycle Ergometer is the go to Medical Ergometer. The Ergometer is Developed and Constructed According to the Latest European Guidelines to insure Patient Safety. Due to Flexible Controlling Technology and Saddle Fixation the 901S Plus is Perfect for use in Stress-Tests, Sports Medicine, Cardiology, and Rehabilitation. 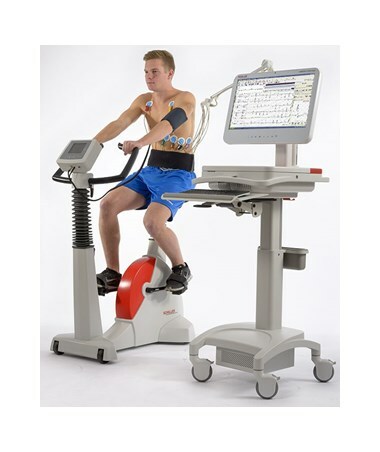 The Bicycle Ergometer is Compatible with all Schiller Exercise ECG Work Stations. It has a Large, Graphic LCD Display Screen which measures to 3.9” x 2.9”. The Bicycle is Automatically Computer Controlled via the Galvanically Isolated RS-232 Interface. The 910S Plus is Built for Safety and Stability with its Steel/Aluminum Construction which allows its use with Patients up to 350 lbs. The 910S Plus is very Quiet with an Almost Noiseless, Maintenance Free Drive. 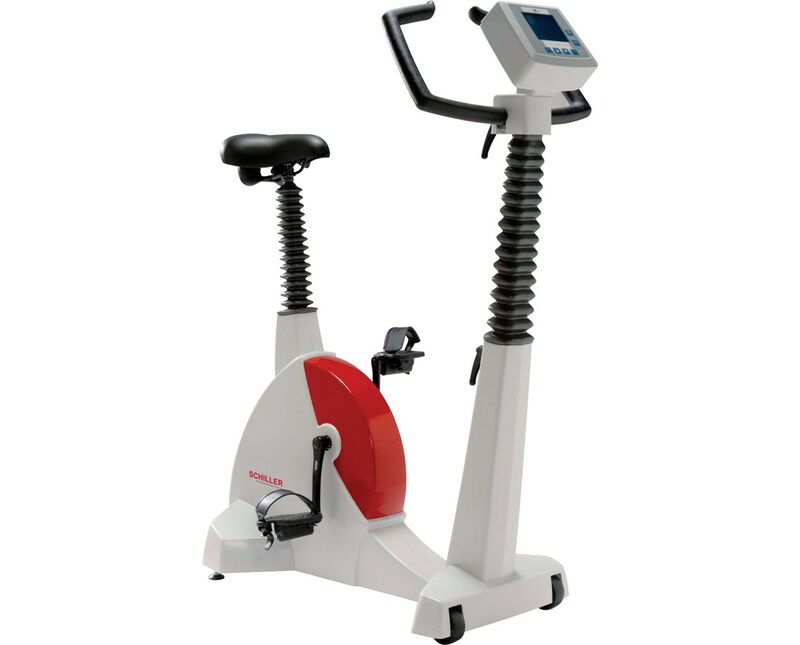 The Ergometer is Perfect for use with both Handicapped and Elderly Patients due to its Low Frame, which allows them to Easily Mount the Bicycle without any help. 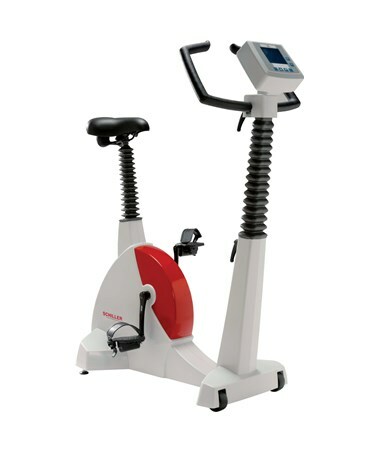 With Physician Convenience in Mind, the Ergometer has Easily Programmable Ergometry Protocols, and for Patient Comfort the 910S Plus has Pleasant Sensation Peddling. The Bicycle has Robust Casing with an Acrylic Coating, making it Easy to Clean. It is also Very Durable due to High-Quality Manufacturing.